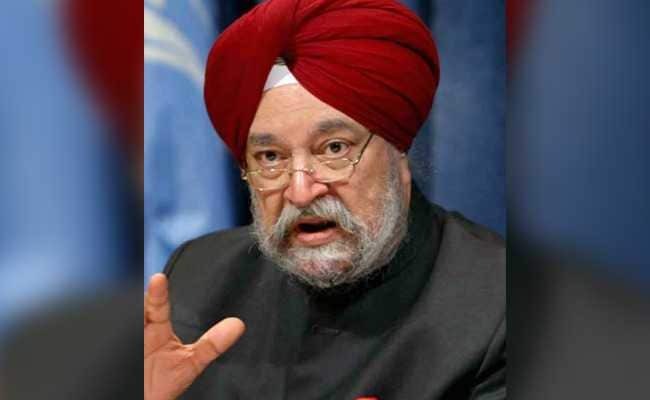 "If somebody wants to be sad, they should be sad about the fact that the other public transport in Delhi which comes under the government which has a sanction of 11,000 buses is about 7,000 short," Hardeep Singh Puri said. "My good friend - the chief minister of Delhi - was expressing sadness that so many people have moved away from the metro. The report has been produced by people who are reasonably credible but they have an agenda where they are not comparing an orange with an orange. What they end up doing was completely falsifying the facts," he said. "If somebody wants to be sad, they should be sad about the fact that the other public transport in Delhi which comes under the government which has a sanction of 11,000 buses is about 7,000 short," Mr Puri said. Reacting to the study, Mr Kejriwal Wednesday said it is "very sad" that an important means of transport has become out of reach of common man. The Delhi Metro on Wednesday termed as "misleading" the CSE report which also claimed the Delhi Metro has received nearly 32 per cent less than the number of daily passengers it had hoped to serve this year, saying its earlier projection included Phase-3 which has not become operational as yet.